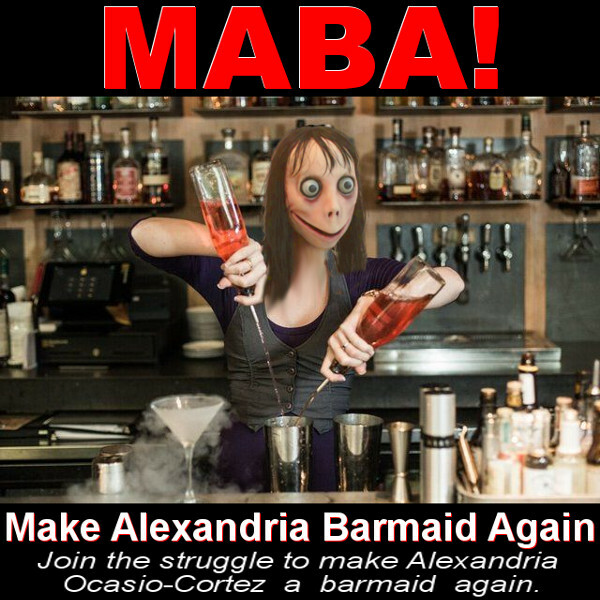 Alexandria Ocasio-Cortez - like, whatever, um you know? The rising Democrat star is proving she has a unique way with words. Watch the (2 minutes, 45 seconds!) video and, like, you know, "Prepare to cringe." Your betters on display who will make the laws YOU live by. Did you ever think the US would live out the movie FOR REAL..? I’m still waiting for the answer on how she got to Austin Texas from DC. Electric train? Sailboat? Her best one yet is that as technology advances it would allow us to have infinite resources. Just saw the Youtube video where she declare the illegal immigrants in her district are her constituents. I just read her aptitude tests came back. If she would wear a yellow jacket she could apply for a job as a traffic cone. She’s the best thing that ever happened to the GOP. The more I hear form her, the more I believe she is fed lines/questions to be coherent and sound intelligent. How much will the bridge be? “I mean, like, they are all, you know, sorta lame and not all woke. I mean, like, what do you like want to like do with all this stuff, I mean, like, hey, get it all together and, like, stop with all that Nazi Maga stuff and all.” Who says she can’t communicate better than a 14 year old?